How’d you get that shot? 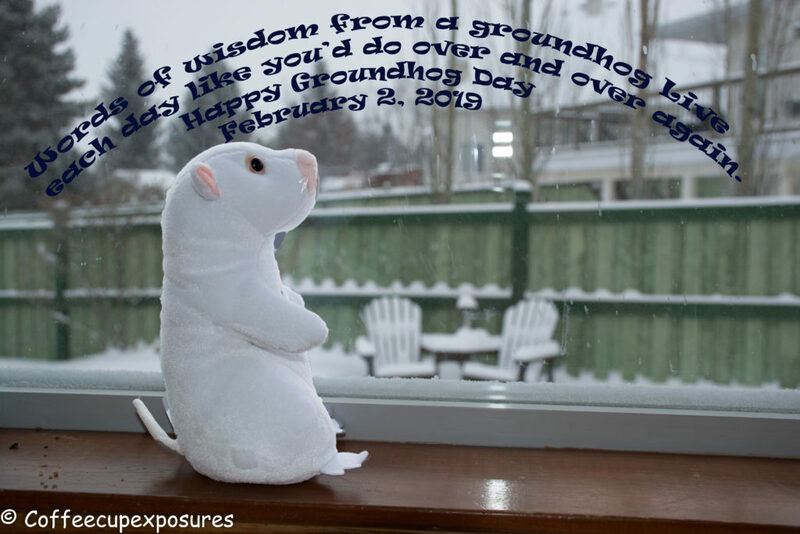 So once again we have survived Groundhog Day. Anyone who knows me know it’s one of my favourite days of the year. A bunch of years ago I bought this little guy from Wiarton Ontario (home of Willie the weather prognosticator!!) So I position him in the window and snap a picture and look for a shadow. The morning of February 2nd was a bit overcast and snowing, so my little guy didn’t see his shadow!! Yaa early spring!! If it was just so easy, since then we have been in a deep freeze waiting for our early spring. On Groundhog day I was thinking about the movie, if I lived this day over and over again would I want it to be this day? Maybe maybe not, so I guess the wisdom of the rodent is to live each day as well as you can, it may be your last or you may be stuck living it over and over. Thoughts to consider and remind all to take it to the limit each day, work hard, play hard and above all things don’t forget to stop and smell (drink) the coffee!